The Montpelier City Council on Thursday unanimously opposed a request from a community newspaper for nearly $30,000 in municipal funding. Speaking prior to the vote at city hall Thursday evening, each councilor expressed personal support for the Bridge, a free, twice-monthly publication. But they said it would be inappropriate, and potentially illegal, to appropriate city funds to a for-profit entity — even one that's running in the red. "That's a non-starter for me," Councilor Tom Golonka (District 1) said. "I have to hold your group to the same standard I'm holding every other group that comes to the city of Montpelier and asks for funding." Nat Frothingham, the Bridge's editor and publisher, said he submitted a petition with close to 700 signatures Thursday afternoon requesting a $27,254 appropriation from the city. That would require an affirmative vote by the council to place the request on the Town Meeting Day ballot and approval by city residents in March. Frothingham, who helped found the newspaper 21 years ago, told councilors Thursday that he was "not initially enthusiastic" about asking voters for support because, he said, it's been "a tough year" for many Montpelier residents. "However, I overcame that reluctance because I thought it would give us a wonderful opportunity to have face-to-face encounters with 600 to 700 voters in town, and I thought it was important for the community newspaper to be in touch and not to sit in our offices and slowly sink under the waves," he said. Frothingham said that while some voters declined to sign his petition, many more were happy to do so. "The majority of people I talked to, their reaction was: 'I love the Bridge. I want to sign.' And I came out of this process feeling immensely grateful and hardened and encouraged," he said. "Regardless of how this goes tonight, I think the response from many, many people in the community has been generous, warm and filled with appreciation for the effort we're making, and I feel great about that." Much of the discussion Thursday evening focused on the legality of the proposed ballot item. City Attorney Paul Giuliani had previously issued guidance to the council that municipal appropriations were meant only for specific social service programs. Frothingham's attorney, Daniel Richardson, argued that the Bridge, in fact, provided relevant services, such as informing unemployed residents of job opportunities, connecting Montpelierites to local events and printing an informational advertisement purchased by the city. "I think it's important to understand the Bridge is not a newspaper, per se," he said. "This is a forum we have and all residents of Montpelier have as access to what's going on in the community. In that respect, the Bridge occupies a very unique niche." 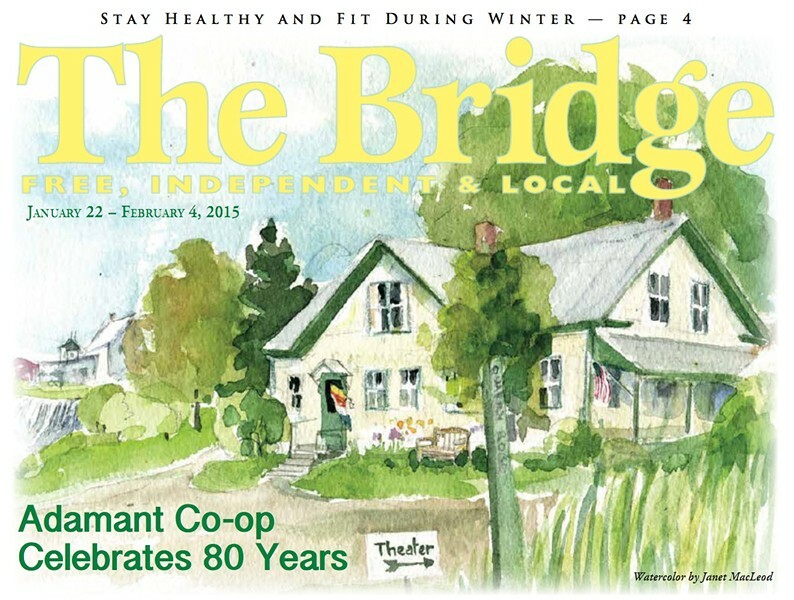 Frothingham and Richardson suggested that the Bridge was working to turn its finances around, become a nonprofit entity and possibly change its leadership. They said they hoped not to return to voters with another such request. "We're just asking for a one-time, slightly larger appropriation, and we're asking the city council to let the voters decide — to allow them to make this decision," Richardson said. "Is this or is this not an important public resource that's worth spending money upon? The answer may very well be no, but I think that's a question for the voters and not for the city council to make the ultimate decision."